We are a pool cleaning and repair service company service Danville, and we have been doing this for the last sixteen years. By that fact, we are by far the most sought after and preferred company in Danville with an ever-growing list of old, new and returning customers who never hesitate when they have new projects. You too can also enjoy these far-reaching, guaranteed, tested, and certified services at the most affordable rates. We shall clean your pool, check the pH levels, check for any malfunction systems and conduct repairs as per need. Call (925) 269-9399 and or fill out the quotation form that is on this page to request a free quote and book our services. Our pool cleaning package takes care of all the hygiene needs. We constantly have refresher courses to ensure that we stay abreast with all the new and emerging needs, techniques, equipment, and chemicals for all cleaning needs. Our technicians are properly trained in repairs and such issues like water alkalinity. They are also certified to handle hazardous chemicals and on how to stay alerted to unsafe water conditions. The technicians, our equipment, and vehicles are also properly licensed and insured. As a result, you don't have to worry about anything when they start work. When we are cleaning your pool, we are giving it a new lease of life. Pool cleaning can be done weekly, monthly or depending on your proposed schedules. For some that are in areas with tree covering, then constant cleaning is required. Our pool cleaning process involves checking for chemical inconsistencies, ensuring that the chemical composition is correct, debris removal, surface skimming, vacuuming, side brushing, filtering, water level monitoring, and equipment checking for functionality. No visitor or even family members would want to jump into a pool that is both dirty and full of harmful substances, leaves, and debris. Having it cleaned will have your visitors' trust and also prevent the users from contracting diseases, illnesses and developing disorders. 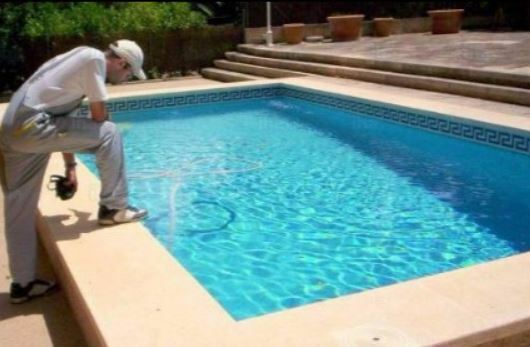 It is, therefore, apparent that proper and regular pool cleaning is vital and beneficial in the short and long run. And when you need that done, we are here for you, all through. 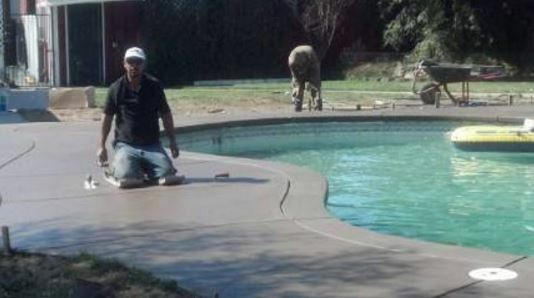 On pool repairs, we are again the best-suited company for your needs. We specialize in such services as pool pumps repair. When the water pump that drains and fills, the pool is not working well, the pool becomes unsafe and as good as useless. The reason is, it cannot filter dirty water or pump in clean water. In the end, you will have a dirty and hazardous pool for use. If the pump is not working due to old age, we recommend a change, and we shall also take up that task of installing it for you. The pool heater also needs maintenance or repairs when it malfunctions. We believe that it is a right for anyone to enjoy the luxury of a swimming pool that regulates the water temperatures properly. A working heater will allow you to swim at any time of the day, but when it is not working, that becomes history. When that happens, call us, and we shall send our technicians who will check all possible sources of faults, from the heater bypass to the heater pilot, gas valves, and pumps and advise accordingly. They are also able to do the repairs immediately they notice the source of the problem. The other repair that we do is in the pool filter. If it develops a problem and stops functioning, that should not raise the alarm because we can take care of that smoothly and effectively. When we pinpoint the problem, we shall address it immediately, and if the filter needs replacement, we shall also inform you, and have a new installation done by our technicians. All you just need is to call (925) 269-9399 or fill out the quotation form on this page, and pool cleaning Danville shall address all your pool cleaning and repair services, wherever you are in Danville.